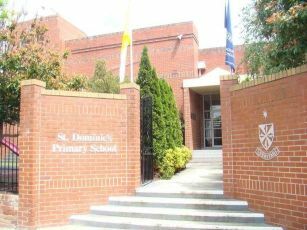 St. Dominic’s School was first established on February 9th, 1925 in what is now called the Parish Centre, situated behind St. Dominic’s Church and the Dominican Priory (Riversdale Road). The school, on its present site (Highfield Road) was opened on October 8th, 1939 by Archbishop Mannix. Throughout the school’s development the Dominican Sisters have played a leadership role, concluding their involvement in December 1996. The Dominican ethos remains an important focus in the life of the school being expressed visibly through our school motto Veritas, our Vision Statement and the many activities (e.g. St. Dominic’s Day) that remind us of the Dominican tradition of love of learning, a search for truth, a development of each unique person to their full potential, an appreciation for culture and a striving for excellence. Therefore, Community involvement in the school is very supportive and the school enjoys an atmosphere that expresses the concept of St. Dominic’s being a place for all.